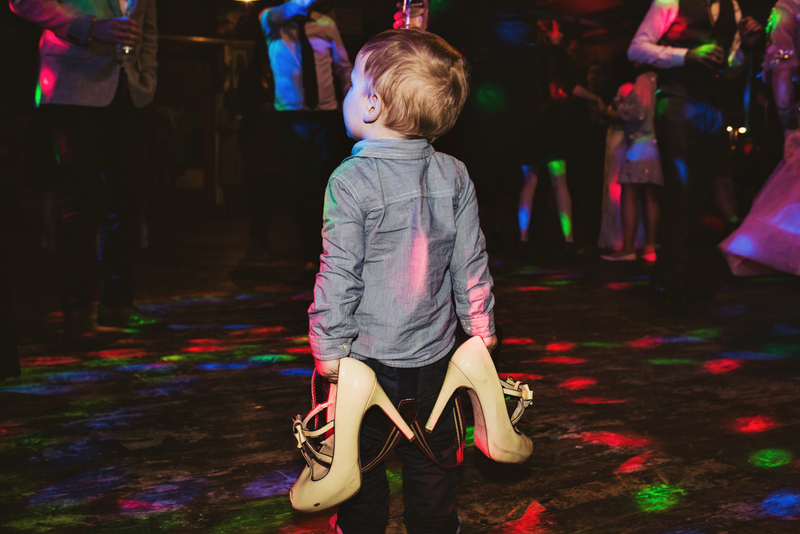 A kid on the dance floor with his mothers shoes. That is it, it probably happens at every wedding but there is something about this moment. Kids are curious, always looking. The want to be grown up, to be just like every one else. When I say this little one running around before the dancing started I knew I needed to keep an eye on him. 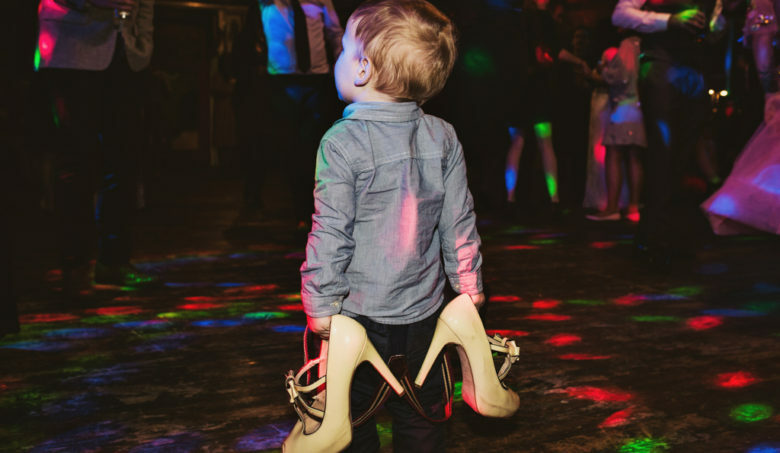 For a large portion of the night, he stood on the outskirts, playing with his parents, never venturing onto the dance floor when his mum kicked off her shoes, I knew things would change. He looked up at his parents as they danced, not fussed by it all then he grabbed his mum’s shoes and headed to the dancefloor. He stood, shoes by his side, watching, sussing out the situation before he took to the dancefloor. At weddings I am always on the look out for moments like this. The little moments that add to a couples story. Every time I see this photo, I wonder what was going through his head, what he was thinking about what he saw unravel in front of him. I hope what he saw inspired him to dance, to fall in love with music and to celebrate everything.